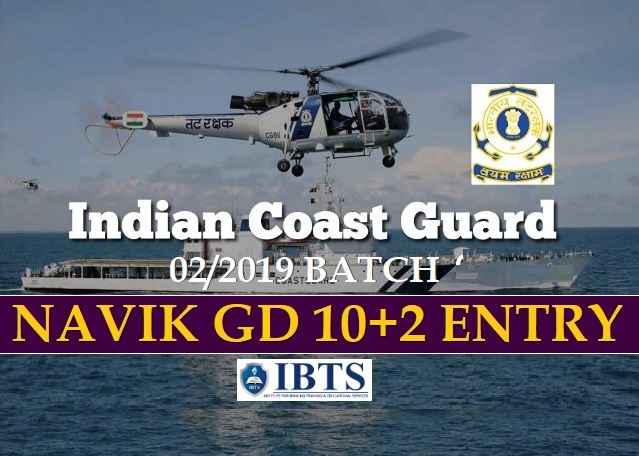 Indian Coast Guard Recruitment 2019 - Apply Online for Navik GD 10+2 Entry 02/2019 Batch in Indian Coast Guard, Across India. Online Applications are invited by Indian Coast Guard from 21 Jan 2019 to 31 Jan 2019. Eligible candidates may apply online at Indian Coast Guard's website (direct link is given below) from 21 Jan 2019 to 31 Jan 2019.